Fast approaching is the annual Salone Internazionale del Mobile, an integral part of Europe’s design scene. We’re massively excited to be making the trip to Milan, where the industry elite will be showcasing their new products. Here’s our selection of what to look out for at this years event. Andrea Borgogni is a multi-award winning designer with a unique design style. His products push the boundaries of manufacturing, whilst achieving simple Italian elegance. We’re huge fans of the products he has produced in the past and look forward to seeing his new work at Milan. 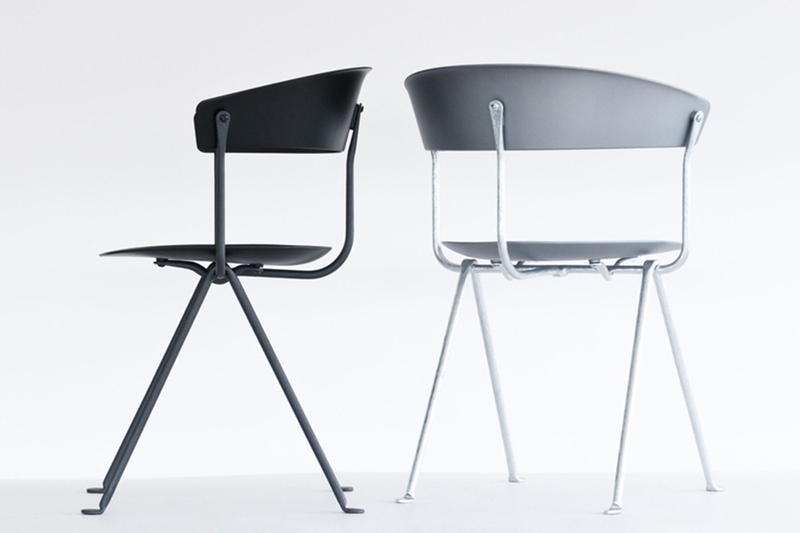 Chair + Stool is the latest addition to the Bouroullec’s officina collection for Magis. This beautifully clean and well-proportioned range of furniture utilises and celebrates traditional wrought iron processes. The additional leather and plastic finishes offset an overwhelming industrial feel and provides a more contemporary edge. We love how this film showcases the production process. Here’s another contemporary design which exploits age-old processes that dates back almost 150 years. Split by Arik Levy uses manual wood bending to create a spilt leg frame that supports both the back and seat. These chairs have been sprayed with a gradient finish in colours that are right on trend that gives them a quirky pre-loved look. Japanese brand Ritzwell have always produced a compelling range of contemporary furniture with timeless appeal and high quality craftsmanship. We love their mid-century look and sophisticated feel, and can’t wait to see what their bringing with them to Milan this year. Arper consistently deliver on aesthetic and usability driven toward ever changing workspace interiors. Arper are creating interior spaces on their exhibition stand that encompass their values of versatility and interaction. For example, Kinesit is Arper’s first fully regulatory office chair available in a host of colour and upholstery combinations. The modern design is further compelled through a range of adjustable settings to make Kinesit an intriguing solution to workspace needs.